traced out when hail scurs down. like steel hair into the valley. leave them in a bucket on the roof. The rain scrawled on: new alphabets. and then scatter them with a toe. "It's not there, don't worry." "Mountains alone stay dumb to me,"
the curves were torn-out pages. Our southern nights were "illegible". to shatter the white. She'd been stilled. then died and dropped free. Ghost strophes. They told me nothing in every language. Tim MacGabhann is a freelance investigative journalist and a co-editor of the literary magazine and press Mexico City Lit. His fiction, non-fiction and poetry have appeared in gorse, 3:AM Magazine and The Stinging Fly. 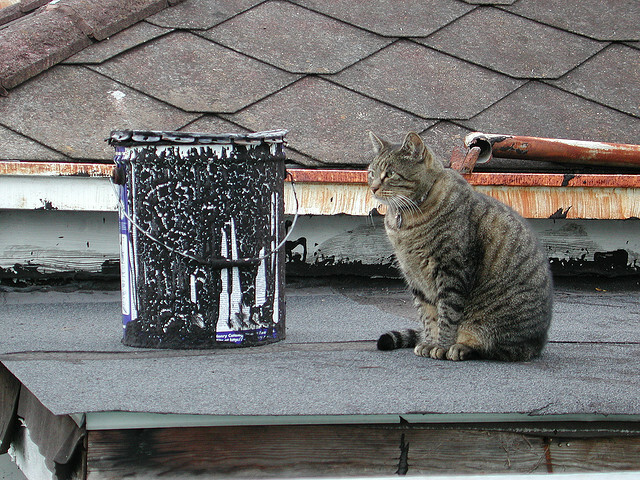 Image: "Archer on Craig's Roof" by Bart Everson.